When we want to keep our homes as clean and green as possible, we need to look at a major contributor to poor indoor air quality; paint. Chemicals in paint evaporate into the air and make the air we breath toxic. It is important for use to become conscious of the chemicals present in paints and what effects they have on us. We should also educate ourselves on natural alternatives, so that we can limit our exposure to toxins. Most commercial paints available at stores are full of hazardous substances, with oil paints being the most toxic. They contain volatile organic compounds (VOC’s), resins, pigments, defoamers, deodorizers, stabilizers and preservatives. Oil paints are made up of 40-60 % VOC’s. Water-based latex paints aren’t much better. They contain vinyl resins which have been linked to various health problems. They may contain lower levels of VOC’s than oil paint, but they still contain 3x as many toxins as natural paints. Water-based paints contain about 10 % VOC’s. These chemicals are hazardous when we breathe them in or they get on our skin and our bodies absorb them. They are linked to skin and eye irritations, respiratory problems, and other health issues. These VOC’s off-gas for years after painting, contributing to polluted indoor air. Many manufacturers are catching on to people’s concerns about their health and indoor air quality. They have begun offering low-voc or no-voc latex paints. These are not natural paints, they still contain vinyl resins and petrochemical ingredients. Many of these low-voc paints still contain a considerable amount of voc’s on their own, with the percentage going up once a pigment is added. For centuries, paints made from natural raw materials have been used with little trouble. These raw materials include: linseed oil, lime from limestone, casein from milk, and natural solvents such as turpentine mixed with chalk and natural pigments. 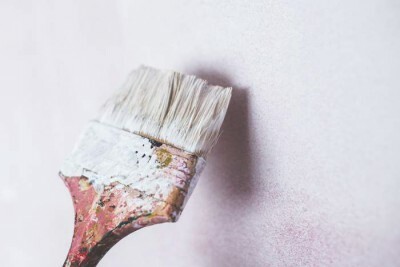 Unlike conventional paints that must be carefully disposed of in order to avoid environmental contamination, natural paints are made of minimally processed and biodegradable ingredients. Natural paints cost more to purchase but they are free from toxic solvents, fungicides and preservatives. Because they are preservative free, natural paints have a limited shelf life, but they can safely be composted after you are finished using them. By using natural paints that come in powdered form, you only have to mix up what you need and the powder will stay good for several years. 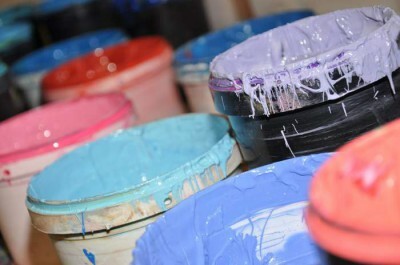 There are many different forms of natural paint. There are water-based paints made from chalk, egg, flour, clay, milk, and lime, as well as natural oil-based paints made with linseed oil. These natural paints all have 4 basic ingredients: a pigment, solvent, binder and optionally a filler. 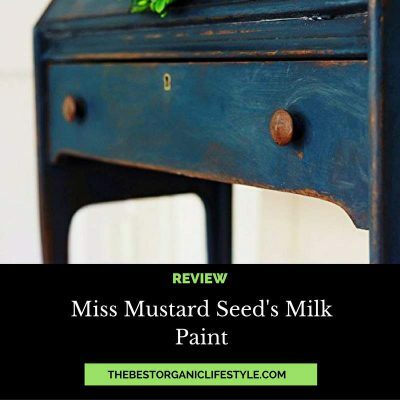 Milk paint is made with the protein from milk (casein) as a binder, with water and pigment added. It has been used for hundreds of years and is a healthy option for painting in your home. It is quick, easy, and forgiving. Milk paint offers a durable finish that can last hundreds of years if protected from the elements. The finish changes depending on surface, brushes used, temperature and humidity. The resulting finish contains subtle differences in shading, and as it ages, areas of wear change sheen. 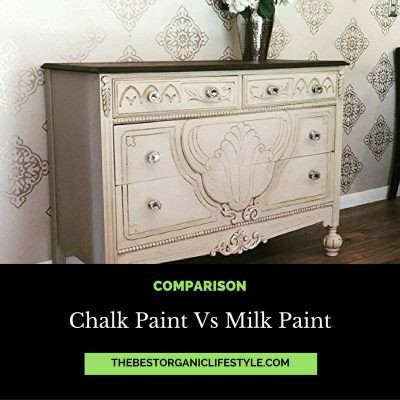 The way milk paint reflects light adds to it’s complex finish. It preforms best on raw wood, acting almost like a stain. Unused milk paint can be thrown on your compost pile. Limewash paint dates back to Roman times. The paint is made from limestone that has been crushed, burned and mixed with water to create a lime putty. The resulting putty is then aged and thinned with water. Natural pigments are added to color the limewash. There are no solvents and the ingredients are all natural. The texture that limewash creates is a mottled and matte finish, giving walls a depth and luminosity. 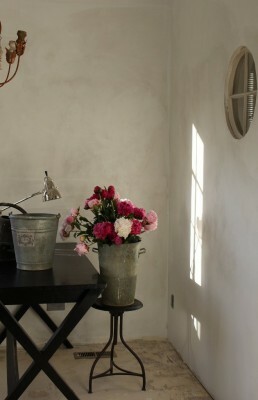 The paint is hypoallergenic because of it’s high pH, and is breathable, allowing evaporation of moisture. It can be used indoors as well as outdoors. The paint absorbs into the surfaces it is painted on rather than just sitting on top, and is best applied to stone, brick or plaster. Drywall can be painted with limestone paint as long as an appropriate primer is applied first. The colors of limestone paint are often browns, greys and taupes. They are micro-porous and all your walls to “breathe”. This prevents blistering or peeling and moisture will not accumulate. Manufacturing natural paints is far less environmentally damaging than producing synthetic paints. Have a low likelihood of triggering allergies. Easy to clean the brushes and rollers with just soap and water. Not considered hazardous waste, no need for careful disposal. Paint settles into a smooth enamel-like finish that is free of brushstrokes and hairline cracks. May be more difficult to work with because of their texture, longer drying times, and inconsistent colors from batch to batch. Pre-made natural paints are often not readily available. 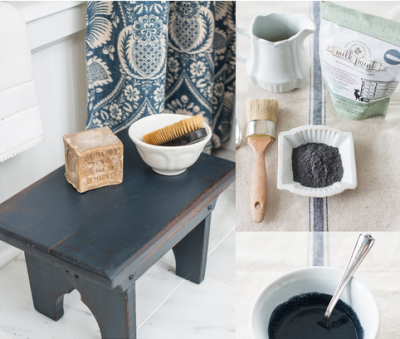 Making your own natural paint takes time and experimentation. Limewash walls are not easily cleaned and may require re-coating. Conventional household paints are a source of indoor air pollution, the toxic chemicals contained in them make paints a hazardous waste product. Natural paints, on the other hand, are harmless, biodegradable and can be easily made at home. Natural paints do take patience and practice and cost more than conventional paints, but they won’t pollute the air in your home or require careful disposal, they can often be thrown right in the compost pile. By using natural paints, you will be going a long way to help minimize your exposure to toxins. Have you ever used natural paints?